Описание: Уровень: British English • 6 levels • CEF A1 - A2. Разнообразные увлекательные материалы, адресованные детям 7 – 10 лет, обеспечивают сбалансированное развитие всех коммуникативных навыков, а также прочное усвоение лексико-грамматического материала. Islands предлагает ощутимую аудиовизуальную и игровую поддержку, обучает английскому языку, учитывая такой важный аспект современных требований, как межпредметные связи. Для этого в курсе Islands предлагается специальный материал, ориентированный на CLIL (Content and Language Integrated Learning). Our Discovery Island – он-лайн игра по материалам учебника, где каждый ученик может создать свой аватар, путешествовать по фантастическому острову и получить награды за правильно решенные загадки, выполненные «миссии», и, как результат, изучать английский язык с удовольствием! A multiple-level course for children learning English as a foreign language in Primary schools. The level, content and pace make it suitable for use in Primary schools with typically 5 or more lessons of English per week. Islands offers best practice methodology in the classroom whilst offering teachers and pupils an innovative digital environment. High level content - Islands vocabulary and grammar syllabus has been developed in line with external exam topics, specifically aimed at CYL, Trinity and KET for schools. 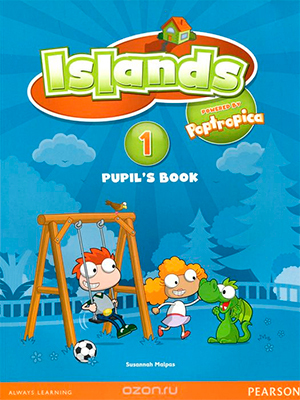 Phonics/Literacy syllabus - Islands offers an integrated phonics programme across the whole series. CLIL and cultural references - Integrated within each unit, this provides links to other school subjects and offers the opportunity to study children's lives and culture in other parts of the world. Enriched digital offer - An Online World, the Active Teach Interactive Whiteboard Software and Digital Activity Book provide opportunities to enrich pupils learning in both school and at home. The Pupil's Book provides materials to effectively present and practice the target language. 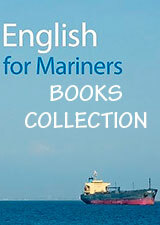 It introduces new language in lively and engaging contexts. A wide variety of practice tasks lead from controlled language activities through to production and personalisation activities. There is also a high level of cross-curricular and cultural content, so that language learning can be integrated into the Primary curriculum (CLIL). Additionally the Pupil's Book contains songs, stories, games, listening and reading texts and communicative activities to ensure lessons are varied, motivating and effective. The Access code printed at the back of the book gives pupils and parents unique and safe access to Future Island Online via the internet. The Activity Book provides reinforcement and consolidation of the language presented in the Pupil's Book. - A Picture Dictionary at the back of the book to help pupils to review and remember the target language. The Reading and Writing Booklet includes four pages per unit to target specific skills. The first page focuses on reading, the second on comprehension with more of a range of texts than those offered in the CLIL and Wider World pages of the Pupil's Book. The third page offers reading and writing activities to revise the key vocabulary, and using the fourth page pupils have the opportunity to write texts which practice punctuation, syntax and structure. An answer key is provided at the back of the Teachers Book. Details of when to use this booklet are given in the teaching notes. This Interactive Whiteboard software (Active Teach CD-ROM) is the perfect classroom tool to bring lessons alive and motivate students. It offers the teacher all the Students' Book lessons, audio and video at the press of a button in the classroom as well as a wealth of additional resources to help prepare lessons, such as extra downloadable activities, tests and workshops to upgrade their teaching skills.